I’ve just about filled the 32 GB internal storage on my Nokia Lumia 920 Nokia Lumia 920 Review & Giveaway Nokia Lumia 920 Review & Giveaway A couple of weeks ago, Nokia introduced two new devices to the world: the Nokia Lumia 925 and the Nokia Lumia 928. The top notch of Windows Phone 8 devices, these two smartphones will only... Read More . Without the option of a microSD card expansion slot, I need to spend time managing the data that has been stored on my phone, discarding photos and videos that I no longer need. It might also be worth having a browse through my MP3 files to find music that can be deleted. Initially, I was surprised to find that I had virtually filled the 32 GB in just six months, until I realised that often overlooked detail: I’ve been recording videos in HD. Add in the small portions of storage that are used by the operating system and the fact that the storage is in reality slightly under 32 GB and it certainly seems likely that a complete removal of personal storage is required. There are several options open in this situation. 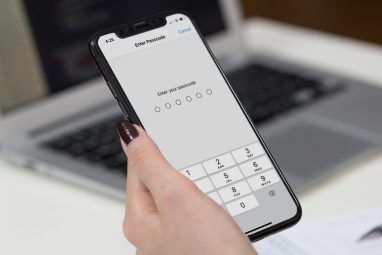 Backing up data can be performed manually, using the Windows Phone Tool via USB and you can rely on native tools to back up your photos, apps, settings and messages. There are a couple of ways to check how much storage is left on your phone. The quickest is checking your phone via Settings > Phone storage, where you will see a storage bar indicating how full your phone is. Further details can be found by tapping the bar to reveal the amount of storage used up by the various media types such as pictures or music + videos. Now that you know how much storage is being used you can make preparations to manage space on your PC if necessary. For instance, you might not have synced your phone with your computer. This can be done with the Windows Phone sync tool. Once synced, you can use the Windows Phone sync tool to see the same information. There are several easy ways to move data from your phone to your PC or elsewhere. The first is the Windows Phone sync tool Configuring a New Windows Phone 8 For Syncing To Windows Configuring a New Windows Phone 8 For Syncing To Windows Read More , which can be installed on Windows 7 or Windows 8 and offers an automated system for syncing data between your phone and PC. 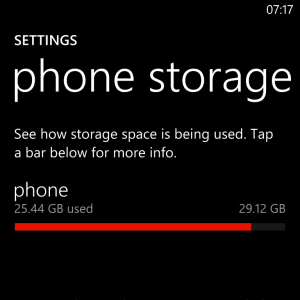 It also displays how much storage you have remaining on your handset. Using this tool. your photos, videos and music are synced to a folder on your computer. Once saved to your PC, media can then be deleted from your phone. If speed is a priority, then you might prefer to use the manual sync method that is available with Windows Phone 8. This allows you to connect your device via USB as a mass storage device and check the contents visually before employing the usual Windows Explorer copy and paste tools to begin moving data around. Although useful, the Windows Phone sync tool can get in the way if you know exactly where you want to place your data, so if you need to empty media from your phone fast, then use the manual sync option. Details about manual syncing can also be found in the article File Sharing, Manual Syncing & Bluetooth Tips For Windows Phone 8 File Sharing, Manual Syncing & Bluetooth Tips For Windows Phone 8 File Sharing, Manual Syncing & Bluetooth Tips For Windows Phone 8 Having used the Windows Phone platform since 2010, one of the things that has struck me is how difficult Microsoft initially made it to share files to and from your phone. With the original Windows... Read More . Other options exist for backing your data up. Cloud storage has proven extremely valuable to users around the world, and Windows Phone can upload your photos and videos to SkyDrive automatically! To configure this, open Settings > Applications > Photos + camera. From here, scroll down to the section labelled Auto upload and tap SkyDrive. The Skydrive Storage screen will allow you to choose how your photos and videos are synced with your cloud account. 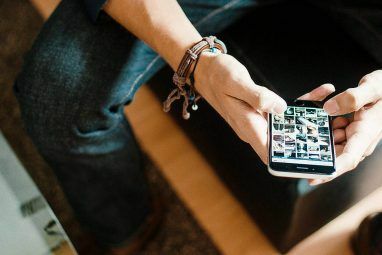 For the best quality photos to be stored in the cloud, you will need a WiFi connection for syncing to take place. Lower quality snaps will sync over mobile Internet. Video clips require a WiFi connection. If you’re planning on resetting your Windows Phone 8 device, you should spend time copying or syncing your media files to your PC beforehand. But what about your apps, settings and messages? With Windows Phone 7 there was no easy way of restoring your purchased Windows Phone apps after a reinstall – you could only manually go to each app in turn and install it on the refreshed device, referring to a list of the apps that you had installed. Things are far simpler with Windows Phone 8, where apps, settings and even messages can be backed up before resetting your phone. Open Settings > Backup to see the options. App list + settings has a switch to enable and disable, as well as a back up now button. Both options back your data up to the SkyDrive account associated with your Windows Phone. Also in the Settings > Backup screen is the text messages option, where various notifications and settings can toggled. First in the list is Text message backup, followed by Chat backup. To keep records of these conversations, tap the switch to On. As long as these options are enabled after you reset your phone, you will be able to access them again. App data, messages, photos, settings, videos and music can all be synced and/or backed up with Windows Phone 8, and with the existence of always-on uploads for photos and videos you should never lose your memorable moments. Which method you choose for backing up is up to you. 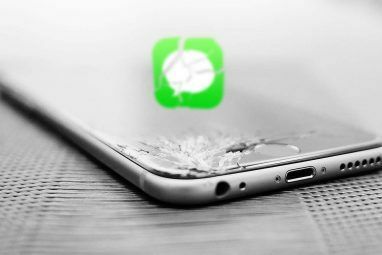 As there is no way of scheduling the app list and settings backup, it might be worth getting into the habit of refreshing the backup from time to time. However, there is one aspect of Windows Phone that isn’t served by backups. Microsoft Office Mobile relies entirely on SkyDrive syncing, but if you want to make sure your Word, Excel, PowerPoint and OneNote files are backed up, you will need to email them to yourself. Given the ease with which other data can be backed up and synced, this is somewhat disappointing. You should also be aware that although you can sync app data and settings and messages to SkyDrive, such data is hidden for security purposes and as such cannot be viewed. Explore more about: Data Backup, Windows Phone, Windows Phone 8. 9 Thriving Twitter Communities All Geeks Should JoinCould This Be The Next Apple iPhone? My onedrive used to back up all of my music on my nokia lumia 635. I accidentally deleted that folder, and now I can't figure out how to get it back. Do you know how? How exactly did you delete it? Exactly how you would delete any normal folder, if that helps. my question is if i delete my picture and videos from Onedrive through my laptop.would it will get deleted from windows phone also? Hannan, it depends where the photo was taken. If the photo was snapped with your Windows Phone, then no, as it would need to also be deleted from the phone's photo library. Also, you may have emailed it and the image exist in your sent items. In all other circumstances, however, it would be deleted. Could you please explain what Chat Backup would do when enabled? Is that to backup chat like whatsapp chat etc. please? This should backup your SMS and Facebook (and any service already integrated or set to be) messaging. I would like to clarify the point about auto syncing photos and video.In my Lumia 720 after i set it up it only seemed to upload pics i'd take after on and not the previously taken one is my gallery. So if your case was like mine.How did u manage to move your pics n vids to cloud throught tat setting? App data cannot be backed up, only a list of apps can be backed up. "Backup saves the apps on your phone, but it doesn't save any data associated with the apps." Hey Dave - good call, I should have expanded on that so thanks for adding it. It has been stated in the article that "the storage is in reality slightly under 32 GB", well actually it is not. Memory devices are usually marketed with terms different than the bit system. So 1 Kilobyte is actually 1000 Bytes and not 1024 Bytes. Similarly 32 Gigabytes is 32,000,000,000 Bytes and not 32 * 1024 * 1024 * 1024 Bytes. Now, converting 32,000,000,000 Bytes to bit system should lead to 29.12 GB in the bit system. PS: I don't know if it is actually called 'bit system', please correct me if you do. HI Garvit - thanks for the clarification. I've never really understood why the two systems exist, to be honest.